Ends on Thu, December 27 2018 1:00 PM EST. “A massive character-centric expansion for Vagabonds of Dyfed RPG. Tables, tools, and new rules for PCs and GMs alike! New archetypes: there are eight new archetypes — fully pre-made characters that include all of their traits, techniques, and equipment. Pick up and play as the Inquisitor, the Visceralist, the Monk, or others in a matter of seconds. Rituals: spells and magic in Vagabonds of Dyfed are pretty flexible and abstract, with only a few techniques to go off of. We’ve included rituals to greatly expound upon the nature of casting large-scale spells, including a highly detailed “requirements” subsystem which includes things like materials, time, sacrifice, and so forth. Wither entire farmlands, strike down armies or curse the Emperor (all it’ll cost is some dragon fangs and the blood of an innocent). Critical damage and injuries: it’s easy for vagabonds to start to feel pretty invincible after their first few adventures; likewise some GMs struggle to appropriately penalize their PCs for getting knocked to 0 HP too many times. The Cyclopedia’s critical injury rules make combat significantly more deadly and wounds more permanent — lose limbs, go blind, crack ribs, and more. Carousing: what’s all the silver in the world worth if you can’t throw an insane party? The Cyclopedia contains rules on carousing, a new form of downtime activity. Carousing uses the basic “move” core mechanic but leverages how much silver you’re willing to toss into having a memorable night. Each time you carouse, you roll on a series of tables to determine what maladies, mishaps, or happy coincidences you wake up to the next morning. We’re sticking with our format for other Vagabonds products — 8.5” x 8.5” square format, black and white interior, softcover color exterior. We order the heaviest paper we can to ensure the best print-on-demand durability available. Vagabonds of Dyfed is designed to emulate old-school RPGs with streamlined mechanics. It focuses on “traditional” emergent storytelling and fictional positioning while leveraging a cut-down Powered by the Apocalypse mechanic. The game is (mostly) mechanically compatible with OSR retro-clones, but benefits from a non-binary PbtA style system. The Vagabonds of Dyfed RPG combines OSR elements (like early D&D or Sword & Wizardry) with a variant of the Powered by the Apocalypse engine in a fantasy RPG. The concept of meshing those two systems (collaborative RPG with D&D’s crunch) sounds like an internal combustion engine built with paper parts, it may go like a bat out of hell, but I need to see it to believe. Some RPGs are one-and-done products, ideas so novel that they’re released as almost proof-of-concepts given to the world with no further support. VoD’s elements would leave me thinking that this is simply an RPG novelty until I factor in that this is their fourth book, and a rules expansion to boot. Having a library that you are developing over time shows real legs as VoD has a core rulebook, an adventure book, a setting book, and this rules expansion. With a string of books, it’s clear that the publisher is serious about VoD and has built a credible game. Having a string of books, and a series of positive reviews, gives me confidence in the product, and I’m eager to see try out this game just to see what creator, Ben Dutter, has wrought. Questions about the system? The Vagabonds of Dyfed RPG mixes elements of Powered by the Apocalypse (like Dungeon World with examples at the Open Gaming Store) with OSR components. This crowdfunding campaign ends on Thursday, December 27 2018 1:00 PM EST. You can support this Kickstarter campaign here. Ends on Thu, December 20 2018 1:10 PM EST. “Omnibus Collector’s Edition in four books. A, B, and C-series adventures from 2010-2018 numbering over 2,200 pages for Pathfinder RPG. Help us combine our Pathfinder Roleplaying Game compatible A, B, and C-Series adventure modules into four collector’s edition books numbering over 2,200 pages. Each book will be lavishly decorated with limited collector’s edition cover art created by Mates Laurentiu. The Adventure Omnibus Kickstarter combines every single A, B, and C-series adventure released by Adventureaweek.com (AAW Games) from 2010-2018. We would like to preserve the essence of each adventure like a snapshot captured in time by keeping each module exactly as it was when released. The extensive work required isn’t in expanding or adding to these adventures but rather going through old files compiled by numerous layout artists and working gently yet fastidiously with each to bind them all together into complete volumes. We’ll be creating new tables of contents, renumbering all pages, and fitting pieces together to create both interactive PDFs and beautiful print versions; your contribution helps make this work possible. With this Kickstarter, we’re unlocking all of the Aventyr Campaign Setting content on Adventureaweek.com so anyone can access information on the setting absolutely free. So whether you plan on using the A-Series in Aventyr or your own setting of choice, you’ll be covered. It was that email which set all the gears in motion. My dear friend Todd Gamble, who was previously the cartographer for the D&D 3.5 core rulebooks, the Forgotten Realms campaign setting, Return to the Temple of Elemental Evil, and hundreds of other products, set off with me on the journey of a lifetime. As the years went on, we would gather a close-knit group of people who acted not only as a team but more importantly as friends. Joshua Gullion (RIP), Stephen Yeardley, Will Myers, Tim Tyler, and many others helped craft that which we would ultimately become. As I mentioned in last week’s article, the RPG publisher/retailer question of 2018 is: Will there still be an audience for Pathfinder 1e? Based on this project, Adventure-A-Week (AAW) would answer that question in affirmation. AAW gambled (in the sense that all crowdfundings are a risk for the creator) in the belief that Pathfinder 1e is fine and, so far, the numbers look good as they celebrate PF1e by reprinting their Pathfinder adventure series in handsome hardcovers. These series represent their adventures from 2010 to 2018 as four books of 2,000 pages. This isn’t just a campaign, this is a statement about the love fans have for Pathfinder 1e, it may be headed into the sunset, but there are enough fans that want to preserve those fun times to warrant a massive keepsake. Many publishers are afraid of getting too involved in producing new Pathfinder 1e products, but AAW (and Legendary Games) seem happy to wade in and find the fans waiting for them. These examples make me wonder if the question publishers should be asking is: In 2019 and beyond, is there enough of a PF1e fanbase to justify a PF1e-dedicated publisher? There is some evidence that there could be for some time to come. Questions about the system? 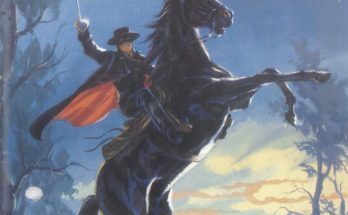 Check out Pathfinder 1e’s System Reference Documents (SRDs) at http://www.d20pfsrd.com/, and examples of Pathfinder games at the Open Gaming Network. This crowdfunding campaign ends on Thursday, December 20 2018 1:10 PM EST. You can support this Kickstarter campaign here. Ends on Tue, December 11 2018 6:59 PM EST. Crystal Heart is a new setting for the popular Savage Worlds role-playing game. It’s based on the current storyline in our webcomic, which has been running for several years. Our protagonists have been having a blast with it, and now you can too! In the world of Crystal Heart, people’s hearts are literally made of stone. Some people – notably, the player characters – can replace their hearts with ancient Crystals, which grant unique arrays of superpowers… but also change their personality. With your help, we’ll be able to finish and publish the setting book. Countless of Crystals still wait to be discovered across the Five Lands – off we go, to adventure! The setting book will be printed in softcover “graphic novel” format (6.625 by 10.125 inches; 17 cm x 26 cm), with about 200 pages in full color, and tons of new art by Aviv. A typical Crystal Heart adventure begins with the Agents arriving at a new locale, sent by Syn to chase after rumors of Crystal activity. They might face natural hazards, angry locals, cunning rivals, pits filled with venomous snakes, or death traps. What’s more, any of these might be corrupted by the Crystal’s power, manifesting uncontrollably and twisting its environment. Upon reaching Veteran Rank the characters become Free Agents, able to pursue their own agendas. By now, however, they have seen enough clues to learn of a mysterious connecting thread, woven behind the scenes, an overarching plot that must be foiled. Chasing these leads throughout the Five Lands they’ll eventually uncover the secret and face the villain! There are now more than 3 years worth of strips and pages in our archive, and it’s all available on uptofourplayers.com. In Home is Where the Heart Is, our Agents arrive at an ancient manor deep in the swamps, confronting the worst enemy of all – the one you can’t just stab with a sword. 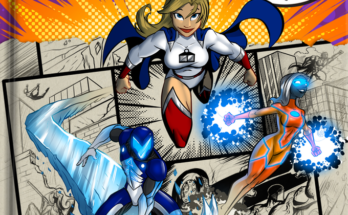 The RPG setting within the webcomic, Up to Four Players, Crystal Heart is jumping media from the webcomic to become a tabletop RPG powered by Savage Worlds. In the webcomic, the characters are playing Savage Worlds set in the Crystal Heart universe. 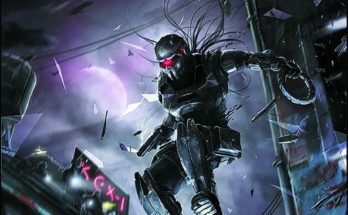 With this Savage Worlds supplement, you’ll get to tie your experiences directly into that system and this world and, if you are going to the extremes of meta, play as the players playing the characters in Savage Worlds. The layers this experience could offer a collection of Crystal Heart and Savage Worlds fans is intriguing. If you’ve never read the comic, why should you back this? The concept, for one. In this world, you replace your stone heart with a crystal one that grants powers and comes complete with a new quirky personality. The system opens up the power play options as well as roleplaying options giving in broad appeal to players. For another reason to back this, unlike many settings this concept has been rolled out to the world before, endured public review, and emerged stronger for it. 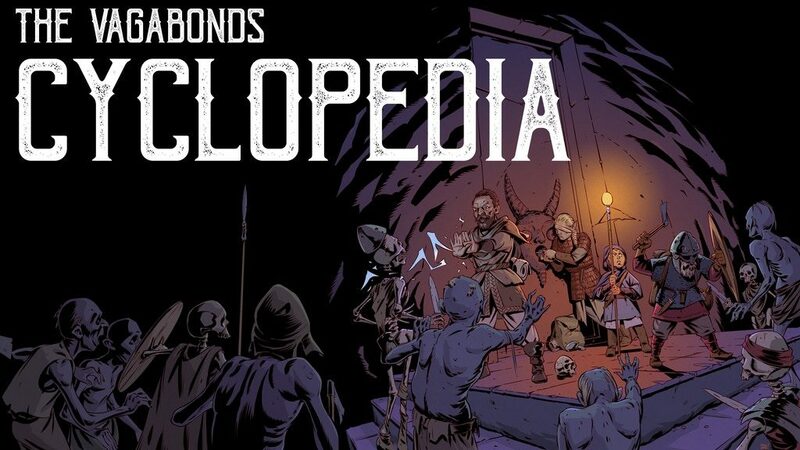 Like The Vagabond’s Cyclopedia above or AAW’s Adventure Omnibus, you’re not being asked to back something that lacks a legacy, Up to Four Players has put their game out there for public scrutiny for some time which will make this a stronger product for your gaming table. Interested in games that use the Savage Worlds system? Try out these games at the Open Gaming Store. This crowdfunding campaign ends on Tuesday, December 11 2018 6:59 PM EST. You can support this Kickstarter campaign here.